Combine cilantro, 1 tablespoon broth, green onions, garlic, chili and ginger in processor and puree until paste forms. Heat 2 tablespoons oil in heavy large nonstick skillet over high heat until very hot. Add half of eggplant. Cover skillet and cook until eggplant is tender and beginning to brown, turning once, about 5 minutes. Transfer to paper towels. 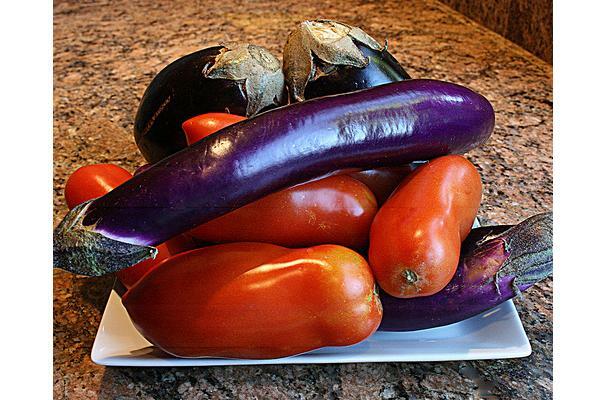 Repeat with remaining 2 tablespoons oil and remaining eggplant. Add cilantro paste and soy sauce to skillet and stir over medium-high heat 2 minutes. Return eggplant to skillet and add remaining 4 tablespoons broth. Stir until sauce thickens and boils and eggplant is heated through, about 3 minutes. Season with salt and pepper.